New NIVEA Q10 minimises the appearance of pores with a formula that suits the needs of combination skin. Result: smoother, younger-looking skin with an even complexion and refined pores. The complexion is revitalized. 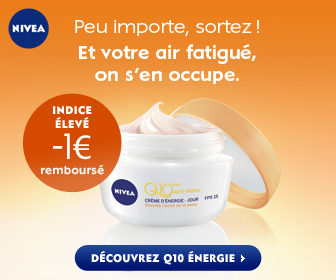 Nivea Q10 Cream is like a good night of sleep. How can we push people to discover this brand new product? As the banner appears on real time, the reader feels immediately concerned. She clics to discover what she’s going to see on the mirror on the next morning. She has to select her plans for the night. 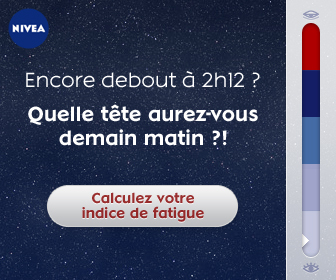 according to the answer, the fatigue level automatically varies on the right. The reader discovers her fatigue level and how she will look like the day after. The level of fatigue unblocks a voucher, as a video game would do.